Workers constructed a new building in the Seaport District. Boston has been building and opening new housing complexes at what feels like a breakneck pace. When Mayor Marty Walsh stood on the Greenway last Thursday and cut the ribbon on the Radian, a new 26-story, 240-unit luxury apartment tower at the edge of Chinatown, it was his second development ceremony in the neighborhood in three days. He’d just broken ground on a 67-unit affordable housing complex around the corner, and if Walsh looked straight ahead while wielding his shiny pair of ceremonial scissors, he was staring at a crane belonging to a 312-unit mixed-income complex that’s rising blocks away. 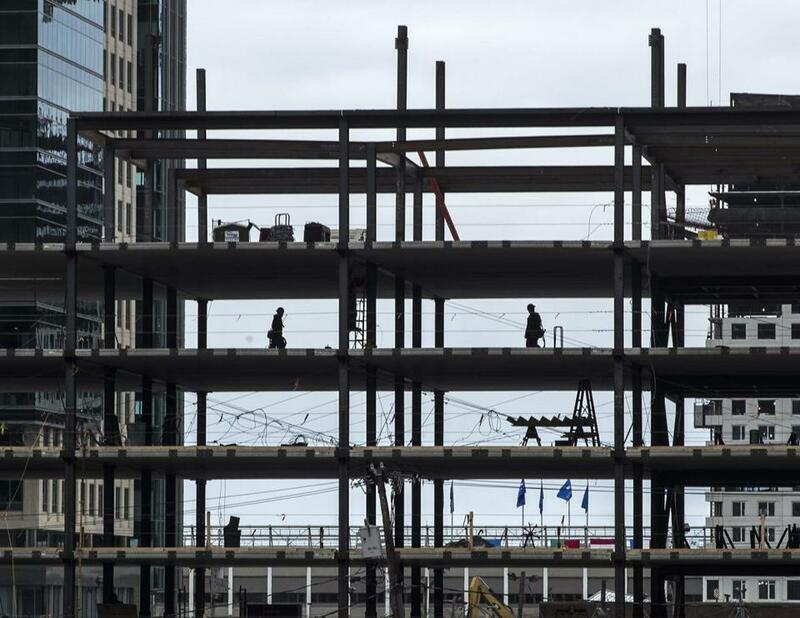 This construction boom isn’t doing much to ease the city’s chronic housing woes, though. The development spree might have been enough to fill up on, if Boston still looked like it did 15 years ago. It doesn’t. Boston is a city bursting at the seams right now. It’s been almost a century since the last time Boston was growing as quickly as it’s growing now. For a slow-growth state like Massachusetts, this is a great problem to have — as long as local and state officials recognize how unique Boston’s current boom is, and do something to avoid smothering it. Boston gained as many new residents between the beginning of 2010 and the middle of 2013 as it did in the entire decade between 2000 and 2010. The city’s population gains over the past three-plus years are roughly double what they were during the entire 1990s. Boston is now growing more quickly than New York City, Chicago, San Francisco, San Diego, or Los Angeles. The new population figures, released last week by the US Census Bureau, also show that Boston is pacing growth for the state — something that hasn’t happened in a century. Generations of Massachusetts residents grew up in a steadily growing state that had a stagnant, or shrinking, capital city. That dynamic has been reversed. Many suburbs are scuffling along now, and wide swaths of the western part of the state are emptying out. Massachusetts’ growth is now an urban kind of growth, and it’s centered around Boston. Mayor Martin Walsh has said that generating housing for middle-income residents is crucial to Boston’s future economic growth. Policymakers aren’t used to dealing with a rapidly swelling Boston. They’re going to have to adapt quickly, if they don’t want to squander the best thing Massachusetts has going for it right now. Up until now, Boston has been throwing luxury apartment towers at its population growth. There’s nothing wrong with luxury units, but they can’t be all anyone builds. Boston developers are going to have to start building large numbers of new homes at rents that working people can afford. 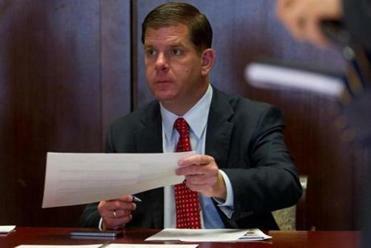 Walsh said Thursday his administration is putting its shoulder into a new working-class housing push. Quick growth should also put new urgency behind long-term efforts to open up development in the vast parking lots around Sullivan Square, the empty Beacon Park rail yard in Allston, and along the Fairmount corridor in Dorchester and Mattapan. These types of development frontiers have previously taken years, or decades, to prepare. Even if the current pace of housing construction is faster than anything the Boston residents are used to seeing, it’s not nearly enough: According to Census data, Boston issued fewer construction permits in the past three years than either Seattle or Denver, two similarly sized cities, issued in 2013 alone. The difference in pace goes a long way toward explaining why housing prices are spiraling out of control so quickly in and around Boston. In the past three years, home prices have jumped by 24 percent in Boston, 27 percent in Cambridge, and 28 percent in Somerville, according to Zillow data. These price spikes won’t relent unless Boston starts pushing housing projects out the door more quickly. And the exorbitant costs of building downtown mean that heavy lifting is going to have to come in Boston’s neighborhoods. The strong anti-development bent that dominates many city neighborhoods is going to have to bend, or else this huge influx of new residents, and the supply-demand curve, will break Boston’s middle class.